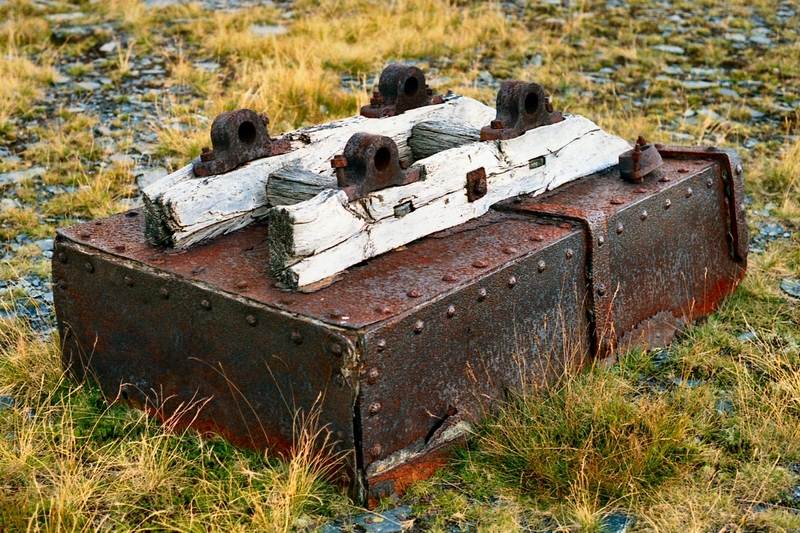 Rhiwbach Slate Quarry (1986) - Upturned waste truck with wooden chassis. I've stumbled across dozens of abandoned wagons (some in very strange places) yet i don't know a great deal about all the varieties. Finding one, above ground, complete with wheels does seem to have been the holy grail though ! Garreg Fawr Slate Quarry, Betws Garmon (1990) - Looking along the main level towards the unusual castle styled tower with Mynydd Mawr dominating the background. 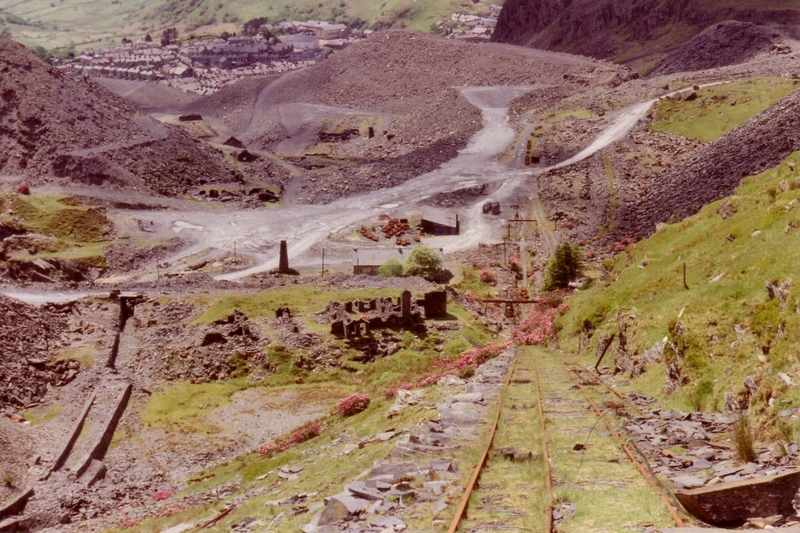 Rhiwbach Tramway (1988) - The view down the then intact #2 Rhiwbach Incline. Note; the disused culvert (lower left) for the Afon Bowydd, plus the beginning of the obliteration of the Votty & Bowydd site by Llechwedds modern tipping and the 1980s landscaping scheme. 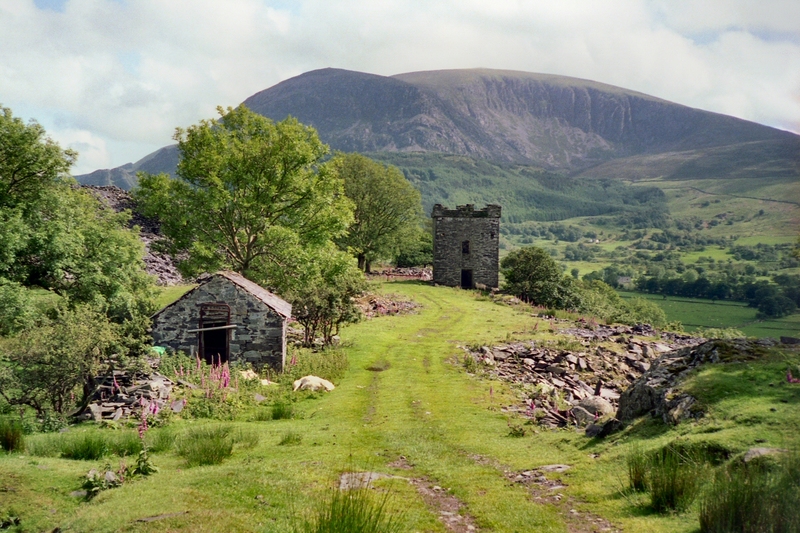 The ruins, to the left of the incline, are those of Maenofferen cottages. Still traceable is the route of the tramway (curving off to the top right) leading to the head of the Rhiwbach #1 incline. 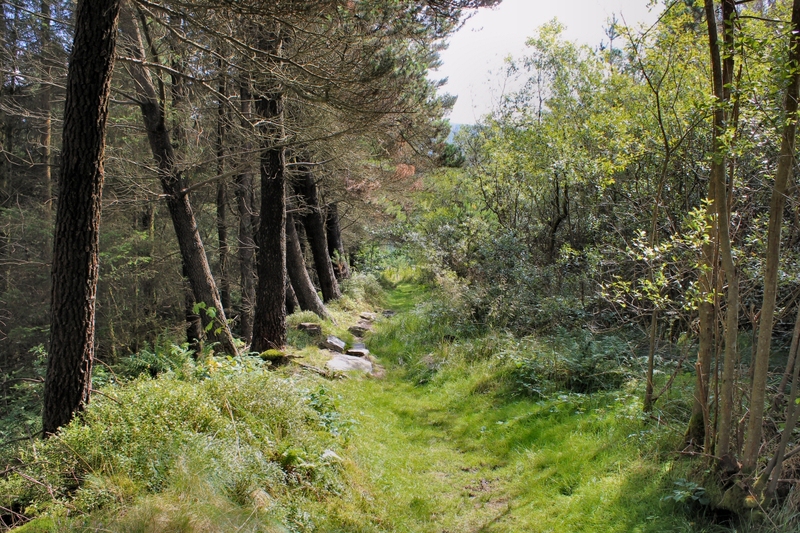 Bryneglwys Slate Quarry (2012) - The amount of forestry overgrowth now covering the site is clearly evident here in this shot of the tramway route running from the base of the 10C - 15C incline to the head of the Cwmcwm incline. The view is to the south east with the Old Mill site down below on the left.